Virginia workers' compensation or work comp is a no-fault insurance policy provided by Virginia employers and offered to Virginia employees if they are injured at work or suffer an occupational illness. Work compensation eliminates the need for workers to file a personal injury claim against their employer and instead offers medical benefits, wage loss compensation, survivor benefits (if the employee is killed from their work injury) and vocational rehabilitation. Virginia work comp benefits are offered by the employer to the employee without the employee proving the employer's negligent actions caused their Virginia work injury and without cost to the employee. The monetary and medical benefits accepted by the employee may be less than they would have won if they could have filed a personal injury claim, but both the employee and the employer avoid a lengthy court battle. Virginia workers' compensation is administered by the Virginia Workers' Compensation Commission, which attempts to complete their mission by "providing public services by ethically administering their statutory duties and being responsive to the diverse needs of their customers". Virginia workers' comp lawyers have helped thousands of claimants get the benefits they deserved after a workers' compensation claim. Many employees will not need an employment lawyer, especially if their work injuries are minor, but if a worker has a permanent or serious Virginia work injury, legal assistance is a must. Virginia employers, who hire their own worker's compensation lawyers, may or may not be concerned with providing the best medical care and compensation needs for their employees. They may want to simply close the case and settle the Virginia workers' compensation claim as for as little money as possible. 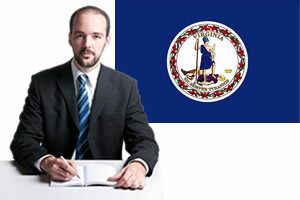 Need legal help getting benefits for your Virginia workers compensation case? Simply complete our free form below to get started today! Most Virginia work injuries are covered by workers' compensation if they occur during a work-related function, if they are caused by a specific work task or they occur at a specific time. Occupational diseases may be covered if it is caused by work (there may be limitations on the body parts covered). Work injuries may NOT be covered if the employee intentionally injures themselves or others, was travelling to or from, or was intoxicated at the time of the work injury. Contact a Virginia work injury lawyer if you have been denied Virginia work injury compensation. Virginia employers provide most workers who are injured on the job with medical benefits, temporary total disability benefits (TTD), temporary partial disability benefits (TPD), permanent partial disability benefits (PPD), permanent total disability benefits (PTD), death benefits and vocational rehabilitation. Temporary Total Disability Benefits (TTD) - Temporary total disability benefits (TTD) are provided to Virginia workers who are injured at work and temporarily unable to perform any type of work. TTD benefits are paid at 2/3 of his or her gross average weekly wage (subject to the state's maximum allowable amount). TTD benefits are not paid for the first 7 days of missed employment, but if the worker is disabled for more than 3 weeks they may be entitled to receive compensation for the first 7 days of missed work. TTD benefits can be paid for a maximum of 500 days before the person is considered totally and permanently disabled. Temporary Partial Disability Benefits (TPD) - Virginia workers who are injured and able to return to work but who are unable, due to their work injury, make the same wage as they earned prior to their work injury can receive TPD benefits. TPD benefits are paid at 2/3 of the difference between their current wage and the wage they made prior to the work injury, up to the maximum allowed by the state. Permanent Partial Disability Benefits (PPD) - Permanent partial disability benefits (PPD) are paid to employees who are injured and have suffered a permanent partial loss such as a loss of arm, leg or eye. PPD benefits are designated based on a schedule indicating the number of weeks for each body part and the percentage of the loss. PPD benefits can be paid to employees who are working after they have reached their maximum medical improvement. Permanent Total Disability Benefits (PTD) - Permanent total disability benefits (PTD) are paid to injured workers who are totally injured and unable to perform any type of work. PTD benefits are paid at 66 2/3% of the worker's wage (up to the state's minimum and maximum amounts). PTD benefits are paid for the duration of the disability or until the workers is 65 years of age (or whichever occurs first). Medical Benefits - Medical expenses are paid for injured employees provided they file their claim within the specified time period. Medical benefits include payment for all necessary and reasonable medical expenses including: hospitalizations, nursing services, doctor's visits, medical supplies, prescribed medication and laboratory services. Virginia work comp law allows the employee to choose a doctor from a panel of three doctors provided to them by their employer or insurance carrier. The treating physician cannot be changed after treatment is initiated without the approval of the employer or a hearing decision by the Commission. Employees who fail to follow the required medical treatment may have their Virginia workers' compensation benefits suspended. Death Benefits - Death benefits may be paid to the beneficiaries of a deceased Virginia worker who dies from their work injury. Death benefits are paid to the surviving spouse and children who are under the age of 18 or 23 years of age if they are enrolled in an educational institution. Death benefits include wage loss compensation which is a percentage of the worker's wages and burial expenses, not to exceed $10,000. Vocational Rehabilitation Benefits - Vocational rehabilitation benefits may be offered to injured employees who are unable to return to work. Vocational rehabilitation services vary by state but can include job counseling, job modification, or job retraining. Claimants must notify their employer immediately if they are injured. If a claimant has an occupational disease they must file their workers' compensation claim within 2 years from the date their treating physician notifies them it is work-related or 5 years from the time the worker was exposed to the work environment which caused the worker to become ill.